Manchester United have completed the deal to sign Alexis Sanchez from Arsenal. Sanchez is expected to arrive at the club’s Carrington training ground on Sunday evening. 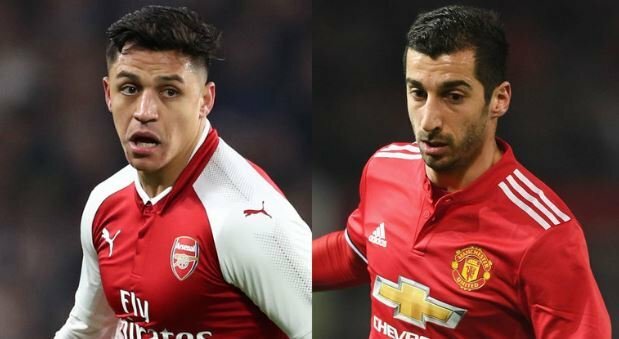 Terms on the swap deal involving Henrikh Mkhitaryan were finalised on Saturday morning and Sanchez has travelled to Manchester ahead of completing a medical on Sunday. He will then sign a bumper four-and-a-half-year contract worth around £450,000 a week. Although terms of the deal have been finalized, both managers remained coy on the transfer on Saturday. “Expect soon or never. So close, so close, so close, if it doesn’t happen it is not going to happen. I know my people doing absolutely everything they can. I think they will be successful,” Mourinho said after their 1-0 win at Burnley.